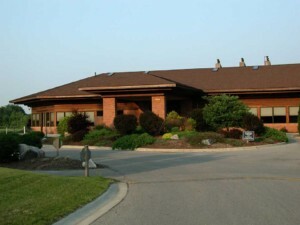 Stonebridge Golf Club is open to the Public! Enjoy our 18-Hole Championship golf course, driving range and practice facility. We also offer a full service bar and grille as well as a large banquet room for private events. Have a question? Let is know below and a staff member will get back to you in 24 hours or less! I’ve played 15 different courses this year. Stonebridge in Ann Arbor is the best! Courses played include Greystone, The Orchards, Devil’s Ridge, TPC Dearborn, Eagle Crest, Meadowbrook, and others. The greens were rolling pure. The water, slopes, hazards, and dog right challenges were exciting. The staff was great and very friendly. Our group is glad that we found this course and we will be playing it at least 3 times a year starting next year. Worth the hour drive!!! Course greens fee is under valued, making this a hidden gem. Absolutely beautiful course from T to green. Fast tricky green. Definitely worth the money!! After taking a red eye from San Diego I had a stop over at DTW before leaving Sunday late afternoon and checked to see if I could play 18 holes Sunday morning. The staff was able to get me off and then provided me with shower facility and towel afterward. I had a very enjoyable round and the course was in excellent shape. Greens ran fast and true. Pace of play was outstanding. I will definitely be back! Thank you Stonebridge Management and Staff.